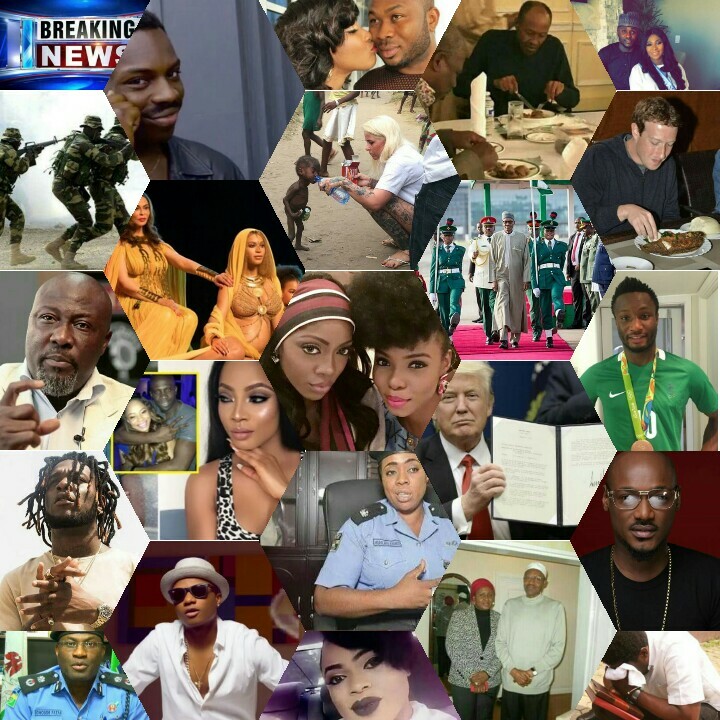 The story of two top Nigerian singers, Davido and Ice-Prince fighting in Delta state has taken the web by storm, after a Twitter user, who claimed to be an eyewitnesses recounted the event on his Twitterpage. The alleged violently clash between Davido and Ice Prince happened at the concert, ‘Delta Alive‘, organised by Quilox CEO Shina Peller in Delta state. 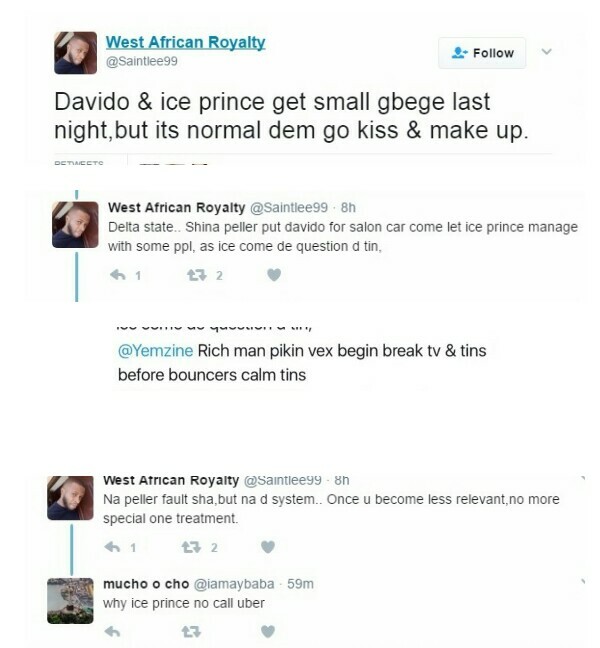 According to the tweets by West African Royalty, who broke the news, Shina Peller sent an expensive car to pick up Davido from the airport, leaving Ice-Prince to share a car with some other unnamed persons. Ice-Prince was also not happy with the arrangement to perform on stage before Lil-Kesh, an artiste he believes is not as big a star as him. This allegedly infuriated Davido, who took to throwing punches at the rapper and destroying properties backstage. “When they got back to the hotel, Davido was really pissed so much that he went to Ice Prince’s door and started shouting and banging on the door before they calmed him down. When they were coming back to Lagos, they had to move them to the airport separately and put them in separate lounges at the airport because they were still boiling at each other.”, a source told LIB. Iceprince’s manager, Nanle has however denied the allegations, tells Pulse tha, “TThere was no dispute between anybody. After the event, both Davido and Ice Prince went clubbing”. 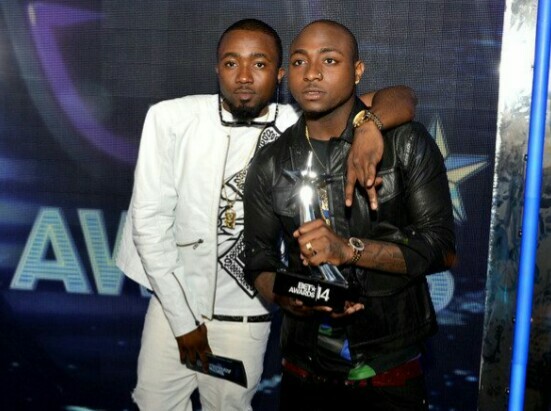 Davido, who is yet to respond to any of the claims was said to have also had an altercation with Mc Galaxy at the event.